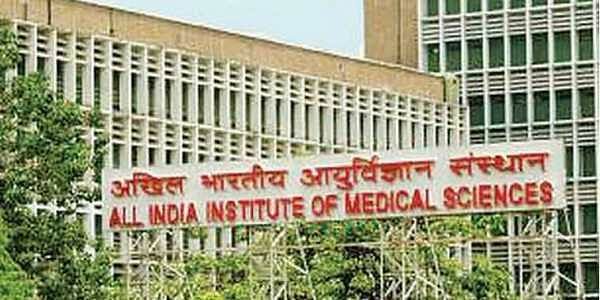 In a letter to AIIMS Director, the Resident Doctor has alleged that the senior doctor slapped him in front of attendees, nursing staff and colleagues and that he was depressed now. NEW DELHI: A senior doctor of AIIMS whose alleged assault on a resident doctor triggered a strike at the premier hospital today tendered a written apology and proceeded on leave on the directions of an internal probe panel. The doctor, who is heading a department at AIIMS, appeared before the inquiry committee which was constituted after the protesting resident doctors demanded his immediate suspension. The resident doctors, who have been on strike since last evening, paid no heed to the AIIMS Director's appeal to call off their protest and return to work. "The faculty member accused of slapping a resident doctor appeared before the committee and tendered a written apology," the AIIMS administration said in a statement. "The faculty member concerned has proceeded on leave in compliance with the directions of the inquiry committee till the inquiry proceedings are completed or further directions," it said. The committee also heard the aggrieved residents doctor and has also received a number of representations against the doctor concerned which will be reviewed by the panel. Meanwhile, the healthcare services at the hospital were affected as routine surgeries were cancelled, out-patient clinics functioned in a restricted manner and patients seeking OPD consultation were sent back due to the strike. Only the emergency and ICU services remained operational, while all routine surgeries were cancelled, out-patient clinics ran in a restricted manner and all academic activity and exams postponed indefinitely, a senior officer of the administration said. Routine surgeries will remain suspended and only emergency cases will be taken up for surgery. Diagnostic services will function on a restricted basis as maximum possible for the faculty, it stated. The strike hit hard the patients who were unaware that no walk-in registration (new and old) was being done today and had to return without treatment from the premier hospital. Some were asked to go the nearest Safdarjung hospital. "I had come all the way from Darbhanga (Bihar) to get my son treated but it was only after reaching here that I got to know about the strike. We will now have to wait for the strike to be called off as we have come from too far and cannot leave just like that," Pawan Choubey said. In a letter to AIIMS Director Randeep Guleria, the RDA has alleged that the senior doctor slapped a senior resident in front of attendees, nursing staff and colleagues, and that the resident doctor was in depression. Meanwhile, the AIIMS RDA has written to Union Health minister J P Nadda, who is also the President of the AIIMS, seeking revocation of Padmashree and Dr B C Roy awards to the professor. "We reprimand all his actions and request you to consider revoking his B C Roy and Padmashree awards, as we believe that he is not worthy of holding such prestigious awards," they said in their letter.